What Do Nuts Provide Your Teeth When You Snack on Them? Nuts are one of those foods that have many beneficial properties, and you can eat them regularly. Depending on your overall health, nuts can help with many conditions and add things such as calcium and vitamin D to your diet, so they are excellent for your teeth. Which Nuts Are Best for Your Teeth? * Cashews – contain a significant amount of protein and they’re an excellent source of magnesium and copper, which helps to strengthen bone mass. They also stimulate the production of saliva. * Peanuts – are a great source of calcium and vitamin D, which are essential for your bones and teeth. * Walnuts – these are probably the best nuts for your teeth because they contain fiber, iron, folic acid, magnesium, vitamins E and C, and potassium. * Almonds – are a good source of calcium. Nuts are not only good for your teeth because many of them contain vitamin D and calcium, which are essential for strong bones, but they are made of healthy fats. 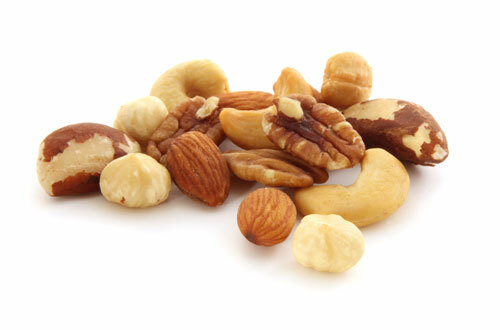 We also want you to know that nuts are high in fats, and this is why many people avoid them in their diet, especially when they are watching their weight or have other health concerns. However, when eaten in moderation, a handful of nuts of any kind can also give you many of the essential nutrients, minerals, and vitamins you need for healthy bones and teeth. Please make sure to always read food labels when you have health conditions such as obesity, cardiovascular disease or high cholesterol. If you have any other questions about how nuts are an excellent snack at any time, let us know.